Mercury trucks are a serious head-scratcher in car hobby circles south of the 49th parallel because these trucks were built for a Canadian market. 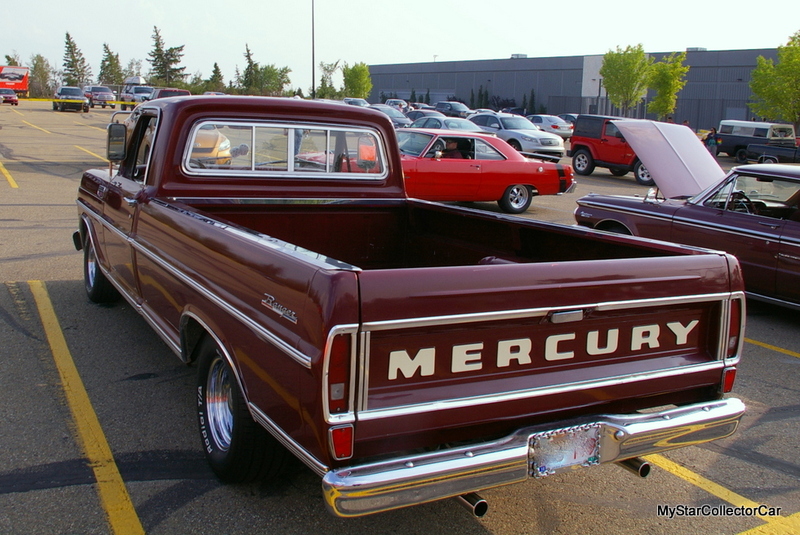 Mercury trucks were sold by Ford of Canada and were intended to provide a Blue Oval truck choice at a Mercury dealership for Canadian customers. 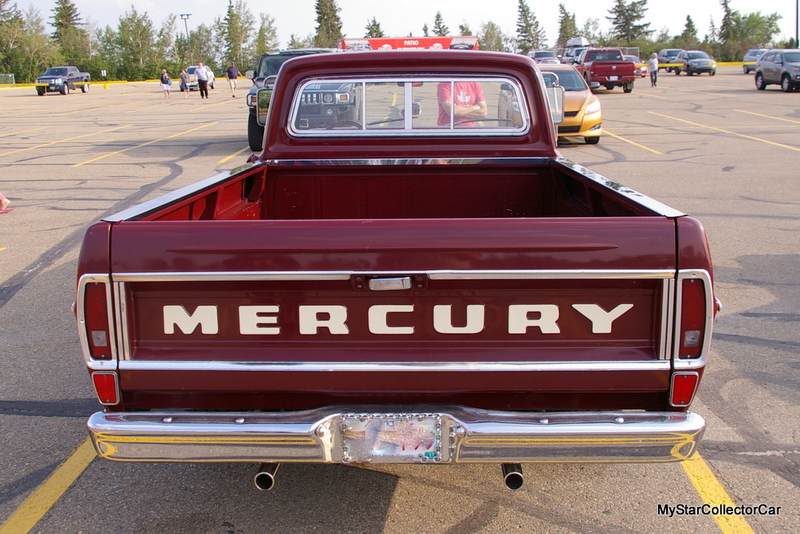 Mercury trucks shared most of the Ford truck’s design and style features, but they had their own badges to make them a unique vehicle in the Canadian market. The trucks even had their own M designation as a counterpart to Ford’s F designation. 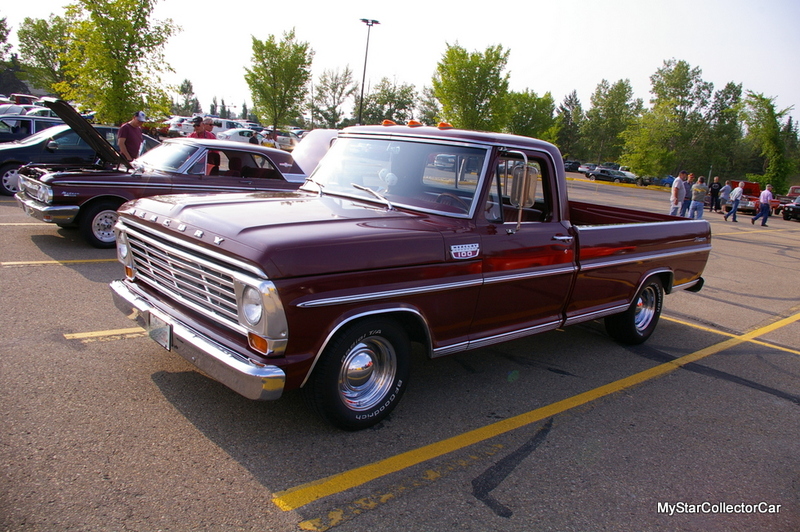 For example, the Ford F-100’s Mercury counterpart was the M-100. 1967 marked the 100th anniversary of Canada’s debut as an independent country that functioned without complete British rule for the first time in 1867 when John A MacDonald became the first prime minister in the new country. 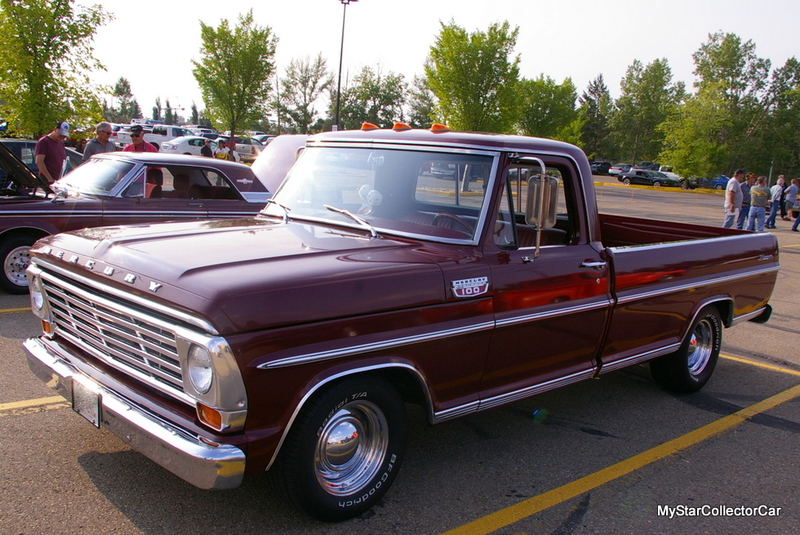 Therefore, 1967 was popularly known as the “Centennial Year” in Canada because 1967 marked 100 years of Confederation so it was a good year to own a Canuck truck like a Mercury M-100 ½ ton pickup. 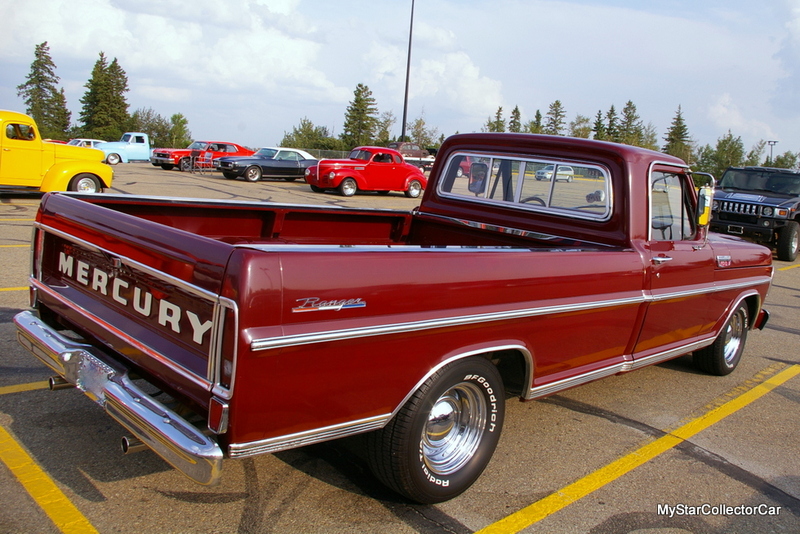 Gary Somers-Brown was the custodian of a 1967 Mercury M-100 (his brother is its actual owner) and he was able to describe how his family became only the second family to own the truck. The first owners bought the truck brand new from a Mercury dealership in 1967 and held onto it for about 31 years before they sold it. The ’67 Merc truck has plenty of creature comforts because Mercury offered them in 1967. 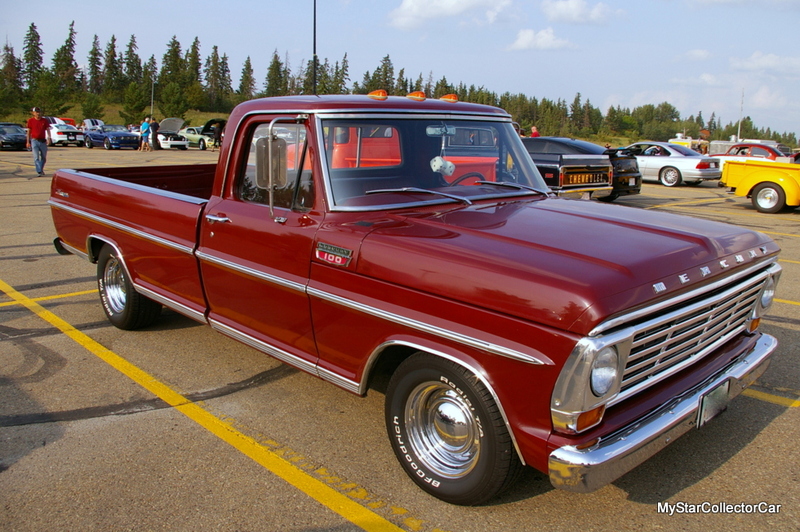 It has factory power steering, nice interior appointments, and an automatic transmission-plus it even had the famous Ford Twin I-Beam suspension to smooth out the rough terrain until the truck was lowered 3 inches with a new suspension choice. 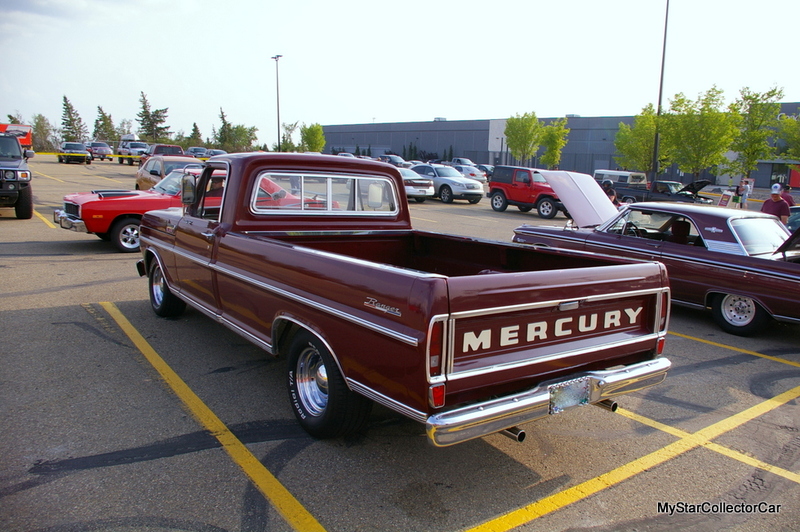 Gary believed the truck had already undergone a major restoration via the efforts of a member of the Merc’s original owner/family and he just continued the process when it was purchased by a member of his family. 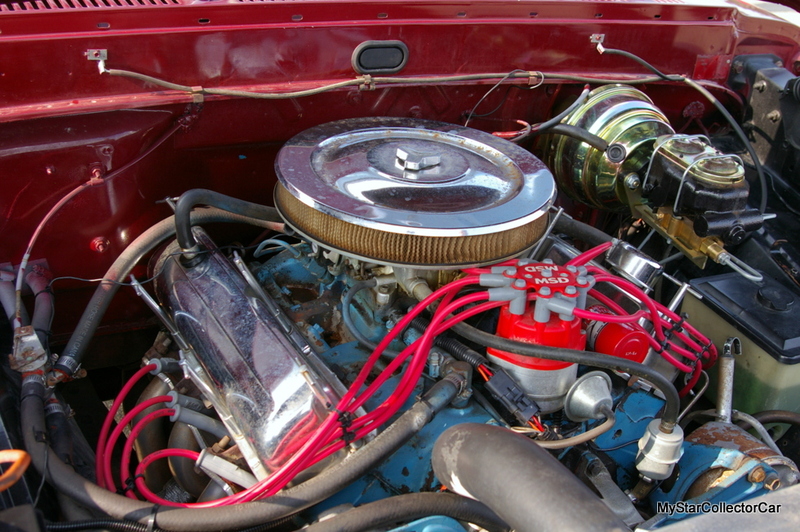 The truck still retains its original 352 cubic inch V-8, along with a few upgrades that include headers and an electronic ignition. 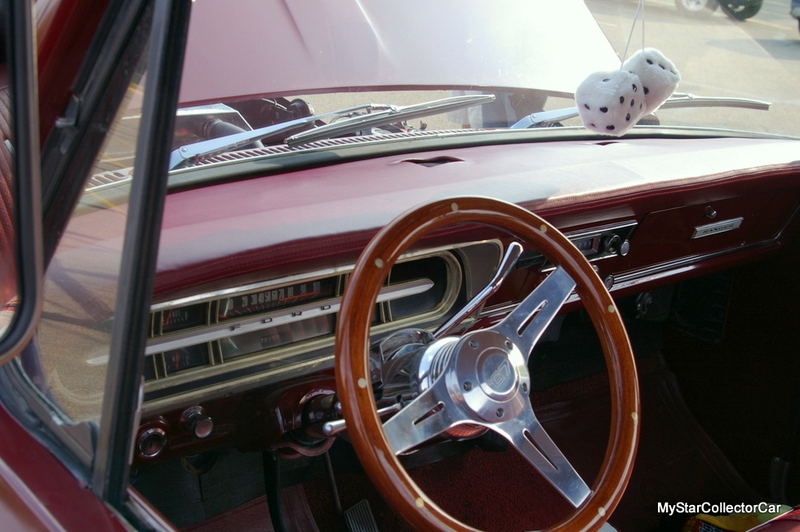 The Mercury’s original steering column has been replaced by aftermarket tilt steering with a smaller custom wheel that has “67” in it to reflect the truck’s manufacturing year during Canada’s centennial. It now sports a power-boosted dual master cylinder with a rear drum/front disc brake system to help slow down the 52-year-old pickup. The truck has a custom rear bumper that was installed by a member of the previous family and it is a good fit on the M-100 in more ways than one. The ’67 Mercury M-100 also has a slider rear window, West Coast mirrors, along with a solid truck bed, so it may have been used with a camper unit on back for road trips. 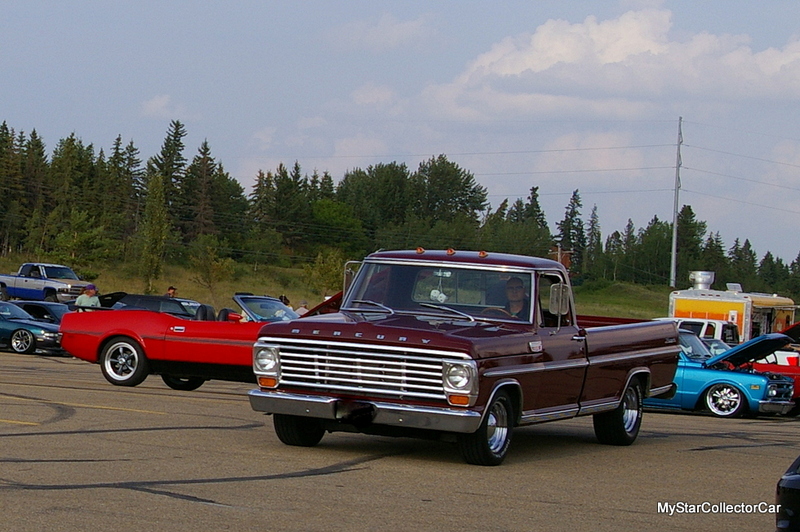 The Mercury pickup truck is a conversation piece at shows-particularly shows south of the Canadian border because it was only built in Canada. 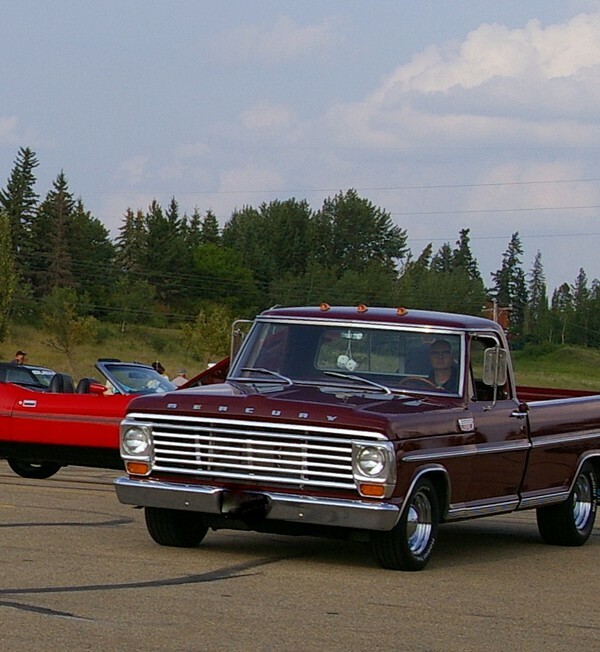 However, a beautiful 1967 Mercury M-100 attracts plenty of attention on either side of the Canada/US border because it’s an excellent representation of a Canadian-only truck.